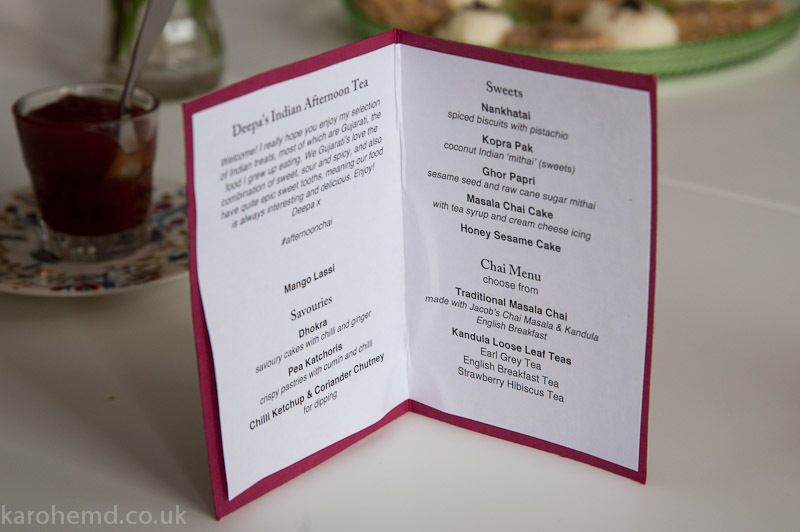 One of my favourite recipes from my Indian Afternoon Tea last weekend was Nankhatai – they are the perfect cup of tea biscuits and are very easy to make. You can customise them with different spices and once they are baked, different toppings. Nankhatai can be found in most Indian bakeries and sweetmarts, but they are much more delicious if made fresh – and so quick to make that a trip to the shop takes more time! Nankhatai are eggless biscuits, a lot of Indians don’t eat eggs for religious reasons which is why they are such a popular biscuit in India. They contain a pleasingly large amount of butter, which gives them their melting soft texture and makes them very moreish. My biscuits are flavoured with cardamom and saffron and I topped them with chopped pistachios (bound with a little runny honey to stop them falling out), and some of them cumin seeds, which I love with sweet things. Pistachios or other nuts to decorate. Preheat your oven 160c / gas mark 4 and line two baking trays with baking parchment. Cream together the butter and sugar til smooth. Sift in the flours, mix with a wooden spoon first and then as it comes together use your hands to form a dough – it will be quite soft. Roll into 1 inch balls and place on your baking tray. Pop a little dent in the top, the tip of a wooden spoon works well, don’t flatten the biscuits though, otherwise you’ll lose that lovely domed shape. Bake for 15 minutes until slightly golden around the edges. Fill the holes with pistachio nuts and serve. They keep very well for a few days in an airtight tin stored at room temperature. I recommend you have them with a cup of masala chai! On Sunday I hosted my very first food event! An Indian inspired afternoon tea featuring Gujarati snacks, sweets and Indian inspired bakes – and of course lots of tea. On the menu were two savouries, various sweets, two cakes and masala chai. 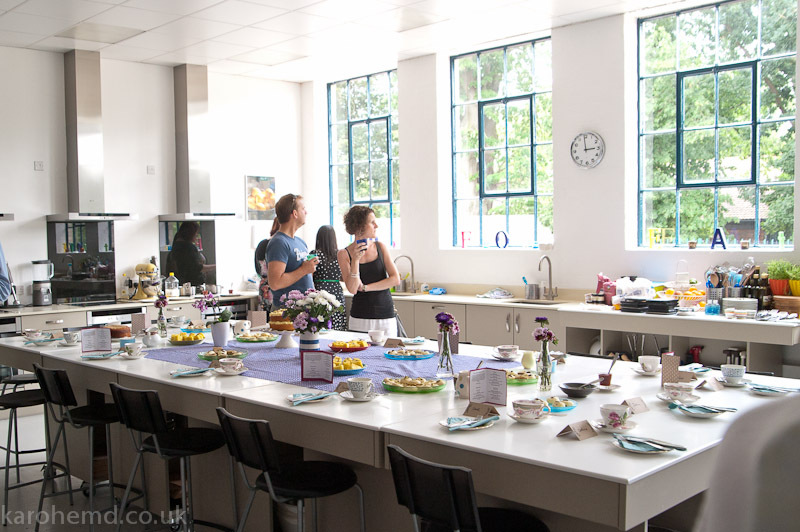 My venue was the fabulous Cambridge Cookery School – which was a dream to cook in – especially being as my kitchen is the size of a postage stamp. There were 5 ovens, or maybe 6! I lost count. I had a lot of fun prepping in there. 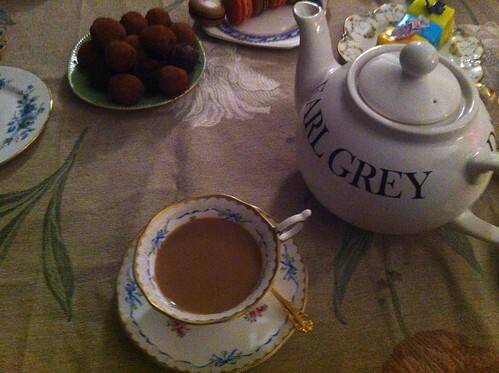 I had the help of Miss Sue Flay, Cambridge’s afternoon tea expert extraordinaire – her experience was much appreciated! My guests arrived and I greeted them with a refreshing glass of Mango Lassi. My lassi was spiced with cumin – based on the traditional Gujarati dessert of ‘Rus’ – which is mango puree sprinkled with cumin and salt, eaten like a cold soup. Mango Lassi often comes with just a little salt, or fennel, the cumin was a nice change – and very nostalgic for me! My mango lassi recipe is here. My afternoon tea consisted of two savouries, three sweets and two cakes. As you would traditionally start with finger sandwiches my guests dove into the savouries first. Whilst everyone worked their way through savouries I made two big pans of masala chai with Kandula English Breakfast Tea and a sprinkling of Jacob’s Jam’s Chai Masala. Masala chai is made by bringing water, sugar, masala and loose tea to the boil then adding milk and bringing to the boil once again. If my guests wondered why I was staring so intently at it, it is because it can boil over in seconds if you take your eye off it – a watched pot does boil, full recipe here. Onto the sweets – again as is traditional for afternoon tea – they made up the majority of my offering for the day. I really wanted to include some mithai on my menu, as they are integral to sweets in Indian culture – served during all celebrations – weddings, births, Diwali and when welcoming important guests. 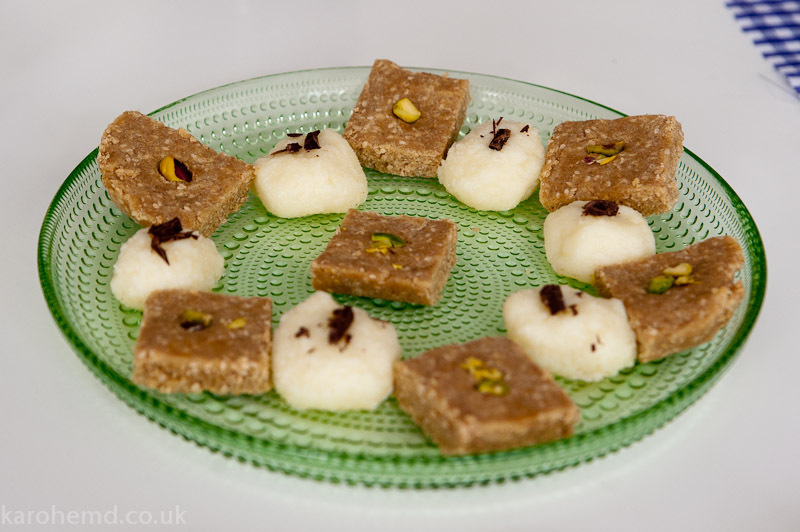 My personal favourite mithai is ladoo – made up of tiny deep fried sugar balls which are then formed into large rounds and spiced with cardamom and decorated with pistachio nuts. These are something of a challenge to make, so they didn’t make it on to my menu – but if you see them anywhere – buy them! Crumbly and lightly spiced Nankhatai biscuits are ideal with a cup of tea, and they were a hit with my guests. Thumbprint cookies remind me of Nankhatai – although the Indian biscuits are filled with nuts or sometimes spices. 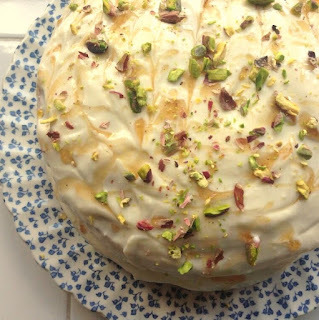 Mine had pistachio on top, and for a few brave types – cumin seeds. What is afternoon tea without cake? 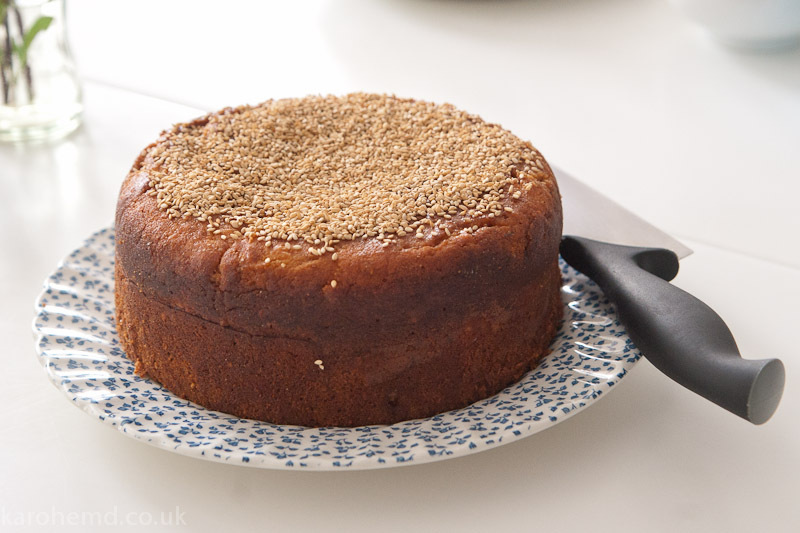 First up was my Honey Sesame Dream Cake – not a based on a traditional Indian recipe but the flavours are quite Indian! I made a double batch for an extra tall cake. 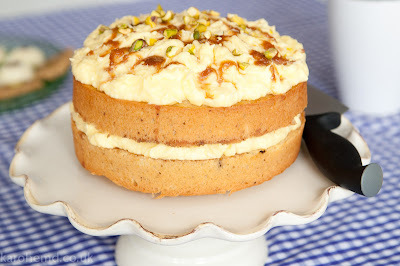 My centrepiece was a Masala Chai Cake which had three components – a light sponge which was then soaked in spiced tea syrup before being sandwiched with cream cheese buttercream with a final flourish of syrup and some pistachios. My cake icing skills need a little work, I have to admit, but I was happy with the flavours. I’m planning on making that tea syrup again, but putting it into a cocktail instead! Putting on a food event is such hard work, I’m used to organising conferences as part of my day job, but food is something else! I spent the whole weekend prepping plus all the planning before, list making, shopping, recipe collecting – but it was so FUN. I learnt lots, and some new techniques – a lot of the food I’d eaten before but never cooked before so it was a steep learning curve. Thanks so much to all who came to my tea – particular thanks to Tine at the Cookery School for the venue, Miss Sue Flay for being a fabulous assistant, Gemma at The Linton Kitchen for lending me her gorgeous china and my lovely husband for being my sous chef/assistant/calmer downer. I’m doing this all again soon! 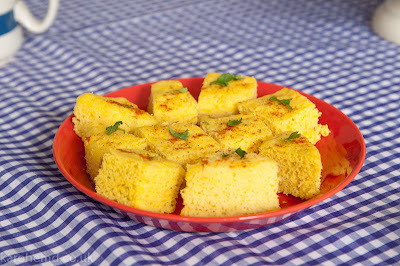 Next is a supperclub which will be a 3 course Gujarati (vegetarian) feast. I’m still working out a date so stand by your inboxes (sign up to get emails here) or follow me on Twitter for tickets. Soon! I’m holding my very first food event! After lots of talking, thinking and encouragement from the lovely people who make up the Cambridge food blogger ‘scene’ (not sure I like that word but it fits) I have decided to hold two events celebrating Indian food. First up I’m starting with afternoon tea, which seems like the natural first event for me, someone with such a sweet tooth. After that I will be holding a supperclub where I’ll be cooking up an all vegetarian Gujarati feasts for around 15 guests. 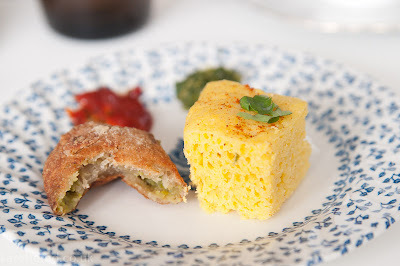 The much loved British afternoon tea but with an Indian / Gujarati twist. Savoury nibbles (think Indian street food) to begin, sweet treats, a masala chai cake (pictured) and of course tea! To book places for the afternoon tea email me at deepa@lazygiraffe.com with the number of places you’d like, I’ll then send you a PayPal invoice for the tickets. 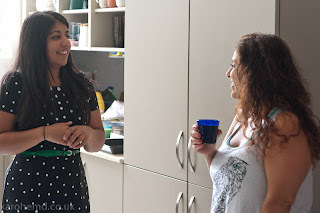 Gujarati Supperclub – no date as yet but it will be late August / early September. 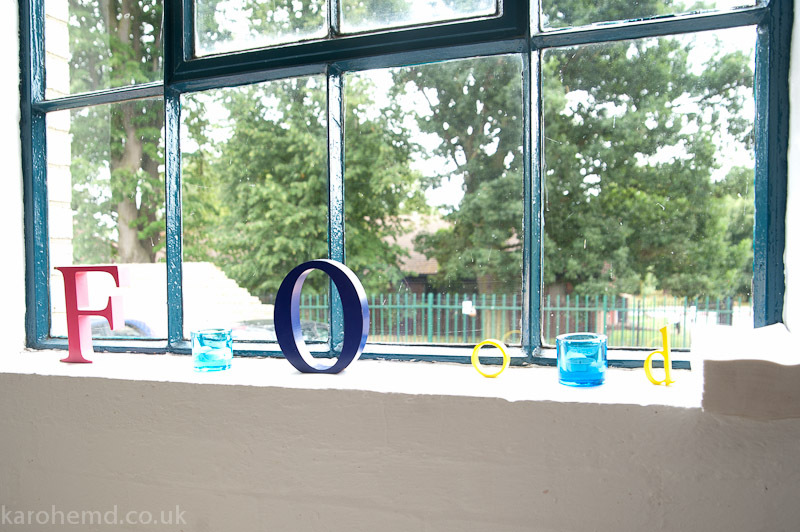 I’m still scouting around for the perfect venue, plus perfecting a stack of perfectly round rotli (chapatti). I’m really excited to be bringing you my ideas for these two events, I’ve had a lot of fun planning the menus for both and I really hope my guests will be wowed. Email me if you’d like to book or for more details. See you in August! Any good Indian will celebrate Diwali, or any occasion with really a lot of food, and little ladoos and mithai are often the best part of it. They’re wonderful to share and feel particularly special as they’re not something you (should) have very often. One of my favourite Indian sweets to make is coconut ladoo, they’re ridiculously simple and everyone loves them. You can even dip them in chocolate if you wish!